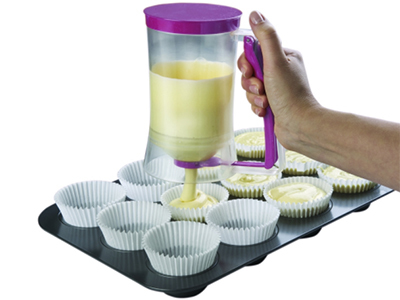 This dispenser neatly deposits the perfect amount of batter, resulting in consistently sized cupcakes that will bake evenly. Use for pancakes or other desserts too. 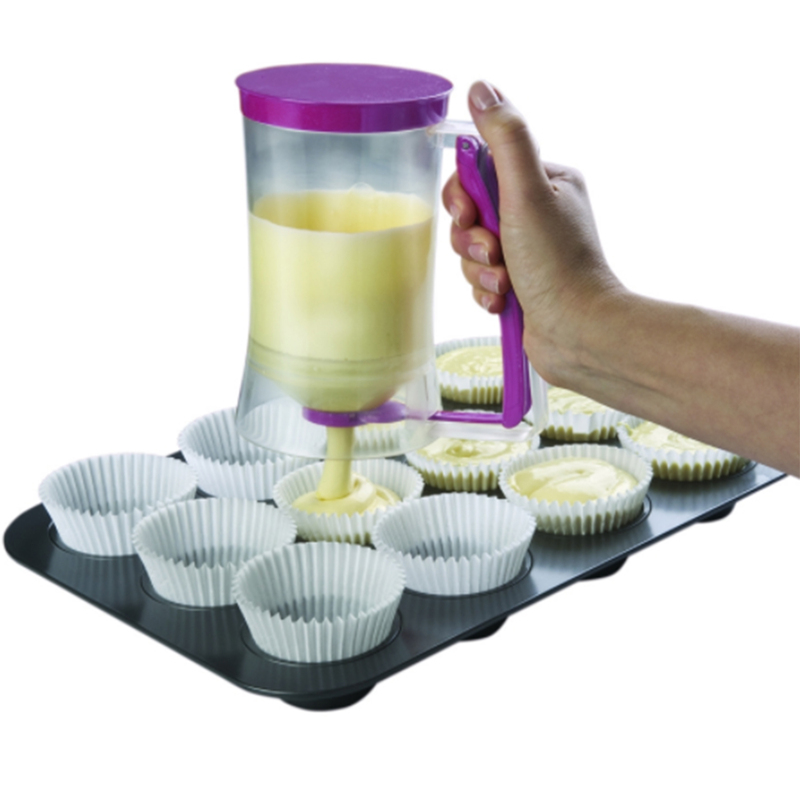 Dispense the perfect amount of batter by just position and pull the handle for quick and easy dispensing.Great for cupcakes, muffins, pancakes, waffles and more! 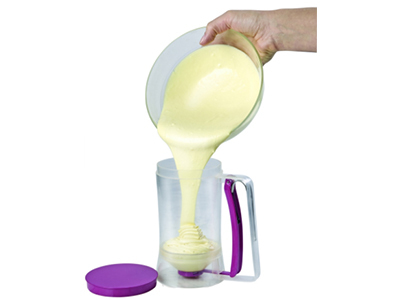 This cake Batter dispenser is Use for pancakes or other desserts. Waffles, muffins, donuts, crepes, cake mix, and even pizza sauce: all fit perfectly through our dispensing valve, offering you the versatility to use your imagination and be in control of your mixes. 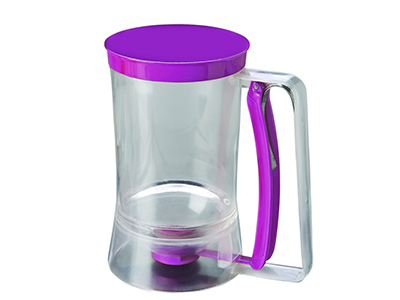 Just pull the handle of the pancake maker, pour it in your pan or waffle iron, count to two, and move on. No-dripping. It's as simple as that!